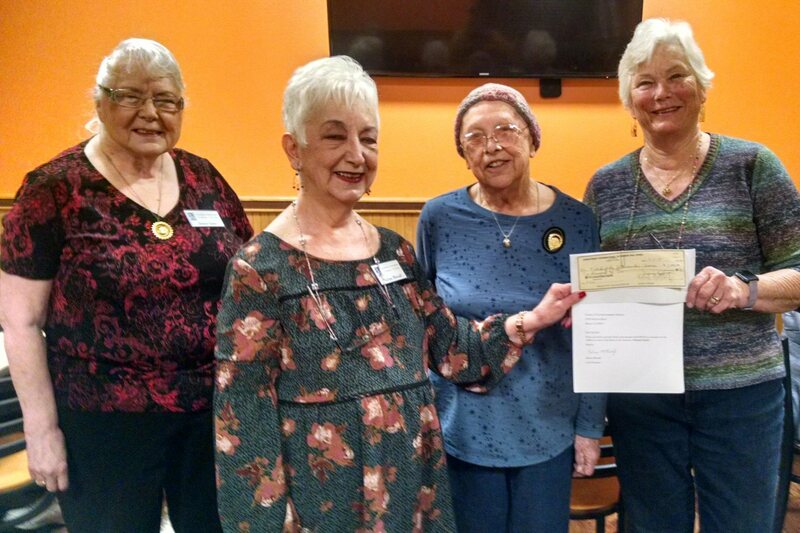 On April 10, Soroptomist International of Burney-Fall River presented a check for $2000 to the Friends of the Intermountain Library. The donation was made for the Children’s Corner in the new Burney Library Branch of the Intermountain Library in memory of Howard Harris. Soroptomist Club President Ralene Metcalf presented the check to FOIL president Pat Pell. Lola Harris and Dottie Sales were present for the presentation.